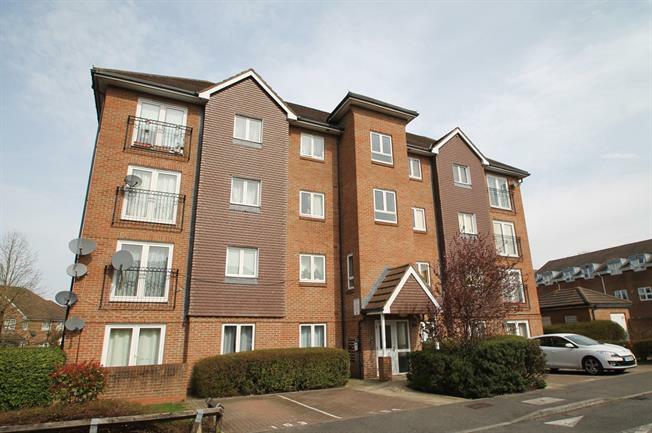 2 Bedroom Flat For Sale in Croydon for Guide Price £300,000. Very well presented 2nd floor purpose built apartment located close to amenities and briefly comprises entrance hall, good size living room with 'Juliette Balcony', modern fitted kitchen, two double bedrooms with fitted wardrobes, en suite shower, modern family bathroom, communal garden and allocated parking space. The property also benefits from having double glazing and electric central heating, also close to playing fields, schools and transport.